I hope you find great value in these Quotes about Crisis from my large collection of inspirational quotes and motivational sayings. to make your life extraordinary in some way. available to bring about an unprecedented growth in the economy. would have avoided a nuclear war? 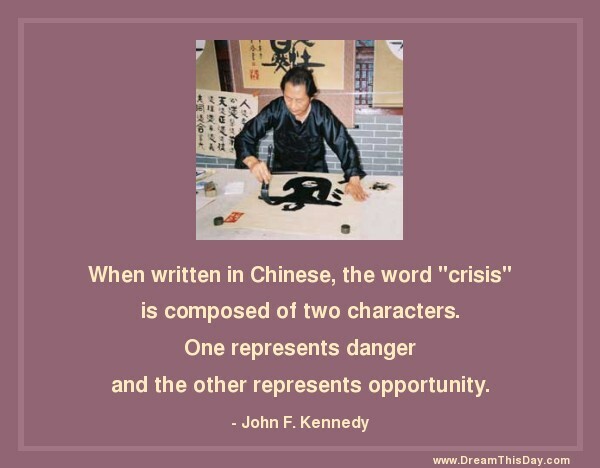 which has created the crisis that we are in. it's how one behaves in a crisis. Thank you for visiting: Crisis Quotes.